Whether you spent the holiday taking a trip to see the Martin Luther King, Jr. Memorial in Washington D.C. or read or listened to a recording of his legendary I Have a Dream speech, we encourage you to use this holiday as a reminder to lend to hand to someone who can use your help. Lead them to www.socialsecurity.gov. It may be easy for you, but it may help someone you love realize their own dreams. This entry was posted in General and tagged D.C., equal rights, health coverage, Martin Luther King, Martin Luther King Jr, medicare coverage, mlk, prescription, prescription drugs, retirement benefits, Washington D.C., Washington DC by Doug Walker, Deputy Commissioner, Communications. Bookmark the permalink. Welcome PRESIDENT TRUMP the 45th President of the United States of America!!! Please ,he is not the President until Jan. 20, after he is sworn in, Until then Obama is still the President. You can apply at age 62 but in most cases it’s better to wait until you are older. For every additional month you wait you will receive a larger check for the rest of your life. Get advice from someone who knows the system well to maximize your benefits. Disabled ? Any time. No age requirement . Not true. Disability under social security was created for people who could not work until their full retirement age. So therefore, once you reach your full retirement age (currently age 66) there is no provision to pay you disability benefits. This was the result of an act of Congress. So you mean to say ,once I reach the age of 66yrs old,they will cut off my as do money’s? Hi Stephanie. 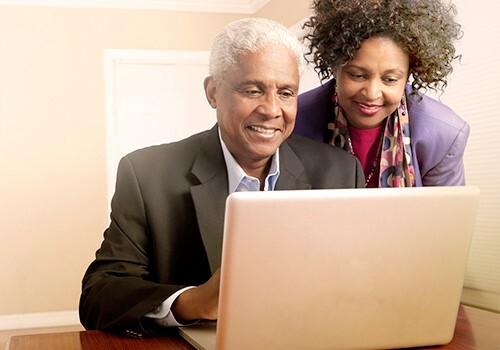 The earliest age you can apply for reduced retirement benefits is 62. We suggest you create a My Social Security account to review your earnings record and get an estimate of your future benefits. We hope this information helps! We’ve helped thousands of people just like you through the disability/social benefits approval process. It’s a scam, so don’t fall for it. If you are 66 or older than you may qualify for close to that amount, but if you are 65 or younger than forget about getting that much. Some of these organizations are not scam and actually help people scam Social Security disability. They help you scam Social Security to get that free disability money. If you don’t have a physical disability, then it is easy to get approved for a mental disability. All you need is to go to a psychiatrist/psychologist complaining of anxiety, depression, bipolar, pstd, etc. Then you apply to get that free disability money. Don’t believe the SSA’s strict definition of disability for mental illness. A licensed psychiatrist/psychologist who is an Acceptable Medical Source should be able to write up a good Medical Source Statement(MSS) or Residual Function Capacity(RFC) for you to get approved. Some of these organizations pay off these psychiatrist/psychologist for these medical records. The SSA only only pays these licensed psychiatrist/psychologist $140 for a CE exam. It is easy for the attorneys and representatives to pay off a licensed psychiatrist/psychologist to get them to be a treating source to challenge the CE exam. These attorneys and representatives makes so much money that they can pay off SSA Administrative Law Judges. I never seen such a high approval rate at the ALJ level. The average approval is 44% and denial is 36%. The attorneys win over 50% of their cases. An attorney makes up to $6000 per winning case. An ALJ gets about $600 per case. Even if the attorneys loses 50% of their case, they average up to $3000 per case. An ALJ only average 2 case per day. The attorneys can average is more than this per day. Because the SSA cannot control the approval rate at the ALJ level, the SSA contributes to the fraud. It is a lucrative money maker for the attorneys and representatives. It is sad that none of the attorneys want to be ALJs because they make too much money and there is a shortage of good experience ALJs. The SSA has to hire some of the rejects that couldn’t make it in the private sector. Hi Larry. Please verify the legitimacy of the notices you received. Remember that our official agency correspondence, and responses are identified with our SSA seal and proper letterhead. Please call our toll-free number at 1-800-772-1213 for assistance. Representatives are available Monday through Friday, 7 a.m. to 7 p.m. Thanks. Always good to read about ways SSI Can help Americans. I am currently going through my first ssi review process. I have allot of pains, so ssi is needed in my life more than ever. There needs to be a way Americans get a yearly review rather than waiting every 6+ years. That way you don’t scare them to death when it is time for a review. It would be better if we all had a scheduled case worker year around so if we have changes we can report them as soon as possible so as to update our cases. Hi Ana. We understand that a medical review can be stressful. The Social Security Administration conducts Continuing Disability Reviews (CDR) from time to time to make sure the individuals receiving checks are still eligible to get them. We only evaluate factors that permanently affect your ability to work. Also, we obtain and consider medical evidence from your doctor or other medical sources, if needed. For other factors that we consider in reviewing your disability status, please read our publication, “What You Need to Know: Reviewing Your Disability”. We hope this helps. my dream is for the crooks in the white house to pay back the money they robbed from ss 2.6 trillion !!!!! HAlfway thru application,,now it’s gone cannot reload.what the neck. Thank you for using our services online Carrie. If you are having trouble and cannot finish applying online, call our toll-free number, 1-800-772-1213 for assistance. Representatives are available Monday through Friday, between 7 a.m. and 7 p.m. Generally, you’ll have a shorter wait time if you call later in the day or later in the week. My “dream” all those working years that I contributed to Social Security was that it was protected from creditors when I retired. Everything above $750. per month is subject to collections from Department of Education to repay student debt. I sincerely hope Congress can raise that protected amount to something more realistic to live on each month. What year was that 750 amount determination made, anyway? If you haven’t repaid your student debt by the time you retire, you are truly a deadbeat. Until we have free college in this county, you are responsible for the loans you take–don’t want to pay, don’t borrow. I don’t know what to think. There’s no reliable source of news anymore. I need help and no one cares six doctor’s and no one can help me my body is in pain get dizzy a lot have fallen and almost fell from being dizzy and have 20\20 vision but my vision is blurry sometimes. The meds make me worse or don’t always work. I keep getting denied SSI what would you do if you had no job were about to lose your house and have been diagnosed with 4 different mental illnesses. I’ve been abused in everyway in my life sexually verbally mentally physically have neuropathy in hands arms legs feet diabetes type 2 osteoarthritis in feet carpal tunel in right hand and migranes can’t lift heavy things. In America land of the brave home of the free if the disability determination people don’t care, than no one cares. Our country has always been rich but we still have veterans homeless, 65% people starving and in poverty with mental illnesses. My retired family member lives off of a $500 retirement check I’ve heard of more suicides than ever before since 2017 rolled in. What will become of me with an 8th grade education turned downed for so many jobs because I don’t qualify by their standard’s. In God I better trust because everyone has let me down. You can call me Ms.Barnett. Why can’t my password pass to b used,it’s been my password since I’ve been required to use a password but yet it has so much problem please adding mustard,what the HELL!!! Social security system is broken and Congress needs to fix it. Stop fraud. Your worker money go to support older workers therefore they will NEVER collect their hard earned money. My 3 sons are in theirs 30’s now. If lady had 4 mental illness and physical problem is legitimate then SSA should help her. People in het state should provide caregiver. SSA’s has an apparent lack of any quality control procedures. I applied for Medicare. My application was straightforward-no issues. It was approved, I found out after 3 months, in 4 days. However, after the approval, it was mysteriously lost. As a result I never received an award letter or ID. The online info site showed the application as “in process.” Numerous calls to the toll-free number had me speaking with call center employees who read me what the website said, and offered no real information. Furthermore, they refused any suggestion that it would be appropriate to investigate. They just wanted to get me off the phone. I got a break when one, and only one, call center staffer was persuaded to give me the name of the analyst and the office of where the application was originally routed. I managed to get that employee’s phone number through another automated system, with another toll-free number. I called her. Her voicemail said she no longer worked there, and she gave out a local number for another person. That employee confirmed that the app had been approved 3 months ago, but could not determine what happened next. Now in possession of the location where the app was approved, and seemingly lost, I was able to contact the regional office, and a very capable staffer on the Congressional research team there solved my problem in several days. In private industry, when you manage a process involving large numbers of routine transactions, you measure, and measure again. If the average approval time is a week, then you run reports to flag transactions taking too long, and escalate them. That did not happen here. SSA appeared satisfied that they were doing nothing for 3 months. I am fortunate in that I have time to delve into things like this, since I’m retired. I also have a lot of experience in using the web to investigate and in understanding how government agencies are organized. I’m not the usual SSA “consumer,” so I was able to get my problem solved.The typical citizen lost in this hopeless bureaucracy is quite simply screwed. and still they want more form me and I don’t know what else I can do. It is no November and I am still being denied despite I have given them everything they wanted. I have six hundred dollars and if I can’t get any help I will lose everything I have. I have been trying to get disability for awhile now been living out of suitcase for awhile wife divorced. ME kick me out of the house it’s been hard for me I’ve bummed from about everybody I know I geta food card the from department of human services here in WV. Have know money coming in it’s been hard I need help I’m just about bummed out when I do get disability I will owe it all out from Baring of my friends my knees are bad and the left knee and hip need replaced my right knee already been replaced I’m getting shots in knees and hip to try to put the Sergeys off my backs been hurt for so long it still gives me bad pain I’m 60 and knead help I have filed and my claim is just sitting on a desk in Charleston WV please help me . Unfortunately, but for security reasons, we do not have access to personal records in this blog, Gregory. Please continue working with your local office. You can request to speak with the manager to see how we can help to expedite resolution of your situation. If you are unable to visit the local office, you can call our toll free number at 1-800-772-1213, representatives are available Monday through Friday, between 7 a.m. and 7 p.m. Generally, you will have a shorter wait time if you call later during the day or later in the week. To see if you are eligible to receive social services or other benefits from the state in which you live while you wait for a medical determination, contact your local social services office. Or you can visit the U.S. Department of Health and Human Services web page for more information. Thanks! If you want to know About Digital Marketing and Best Digital Marketing Company in Pakistan click on the link!